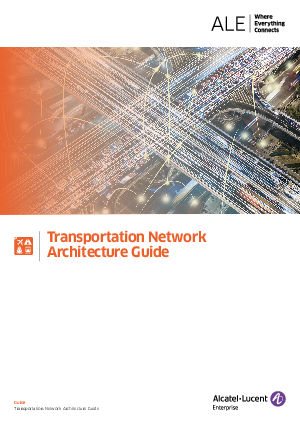 The purpose of this design guide is to present the requirements and considerations relevant to the transportation vertical along with design options, best practices and configuration guidelines. While this design guide is focused on Shortest Path Bridging (SPB-M) based networks, it also addresses data networking solutions applicable for this transportation vertical. Although several modes of transport exist, this document focuses on rail (metro, heavy, light) and road transport. More specifically, this document focuses on the fixed network infrastructure underpinning the multiple systems that enable the safe and reliable operation of rail and intelligent transport systems.